The Japanese have given this world some truly stunning innovations -- Pokémon Go, karaoke, some anime, to name but a few -- but the latest island nation offer stands to change the day's most important meal. I speak, dear reader, of coffee butter, a new product hitting the shelves in Japan in a matter of days. Now, let's be clear: this is not the same as previous attempts at combining the two staples of any breakfast. Bulletproof Coffee is known for mixing coffee into butter. 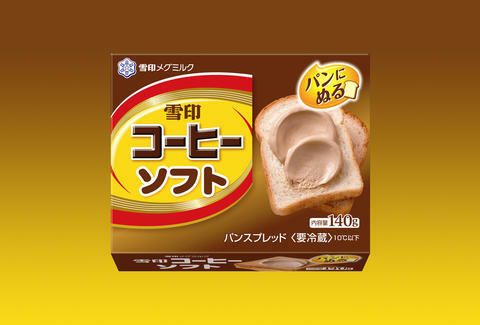 This new Japanese butter product, coming from the country's dairy company Megmilk Snow Brand, is a buttery riff on its popular instant coffee recipe -- which is celebrating a 55-year anniversary this year. It's an infused spread, packaged and sold out of the box as a perfect marriage of coffee and butter flavors. The product -- dubbed "Snow Brand Coffee Soft" -- will debut in Japan on March 1, retailing for 230 yen -- or about $2 for any Americans who plan to travel there soon. According to the company, its flavor and aroma will match that of the instant coffee, and will go great with toast, croissants, pancakes, and probably anything else a person could reasonably or (unreasonably) use butter for. Let's just hope their love spreads across the world sooner rather than later.